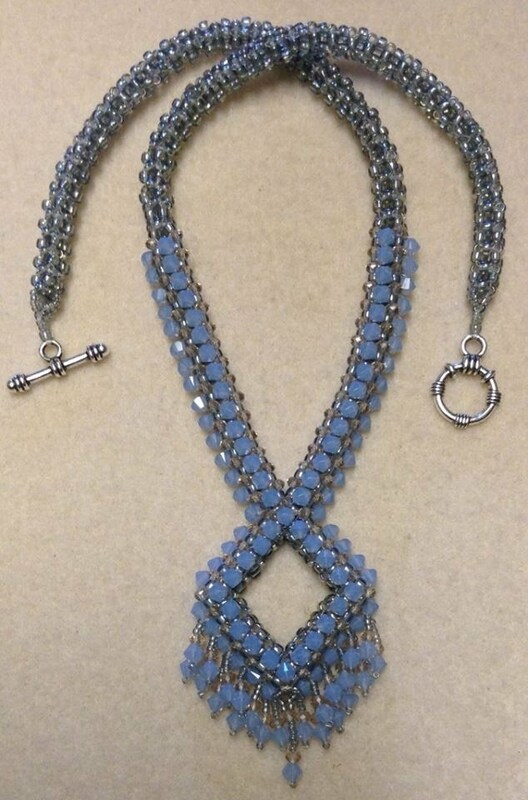 This wonderful beaded diamond rope necklace shows why beadwork is awesome. Gina of Gina's Gem Creations shows how using just seedbeads (8/0 and 15/0), 4 mm bicones and 2x3 mm rondelle crystals can result in something so lovely! Part 1 shows how the rope or base portion of this necklace is made using cRAW (cubic right angle weave). Part 2 covers the crystal embellishments.